"We wanted to create a place where people would not feel intimidated to order or buy wine. A place where you could casually try a variety of wine at your own pace." Spring City Wine House is owned and operated by Tom and Stacy Hockel. Tom is a Certified Specialist of Wine and has been selling wines for over 20 years. ​There are two ways to enjoy wine. 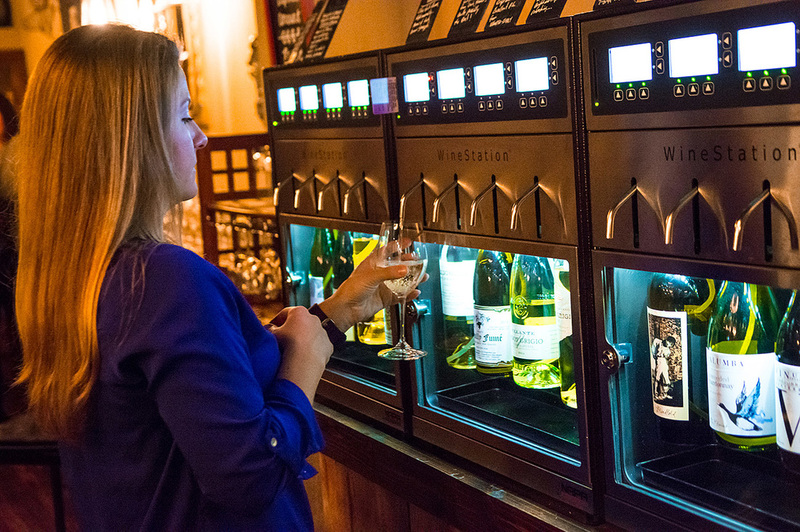 Open a bar tab to receive a smart card to be used at our wine stations, then just pay your tab at the end of your experience. Prepay one of our smart cards and use it like a gift card. You can even take the smart card home and use it next time you come in. 48 wines to choose from, YES 48 ! Pour a taste, half or full glass at a time. From Moscato to Cabernet Sauvignon, there is a wine for everyone and a risk free way of finding your new favorite. There is always someone to assist, should you have any questions. 200 wines by the Bottle, Craft Beers from Wisconsin, Champagne, Sparkling Wines, Scotch Whiskeys, Bourbons and beverages are also available. A light menu consisting of various Cheeses, Charcuterie and Chocolates are an added bonus to your visit.